Published: Dec. 13, 2015 at 07:21 p.m. Updated: Dec. 13, 2015 at 08:18 p.m.
KANSAS CITY, Mo. -- There were days when Kansas City Chiefs outside linebacker Dee Ford had to wonder when his time would come. There were moments when the silence had to be deafening. 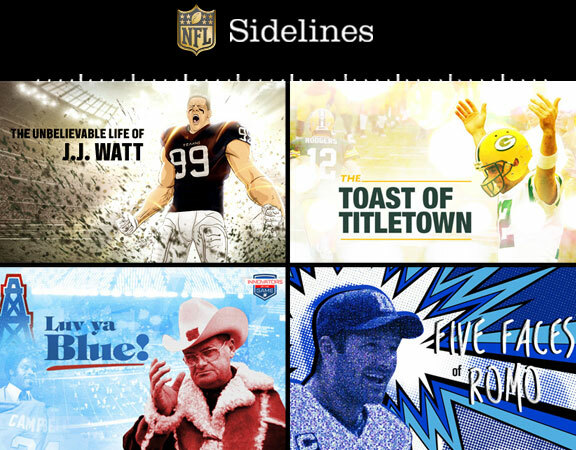 He came into the NFL with a reputation as a dynamic play-making pass rusher, a player who might someday change games. It took nearly two years before we learned why the Chiefs were so high on him in the first place. The Chiefs may be celebrating Sunday's 10-3 win over San Diego, but they are equally thrilled about Ford's performance. He produced a career-high three sacks while also deflecting a potential game-tying touchdown pass to Chargers running back Danny Woodhead on the final play. 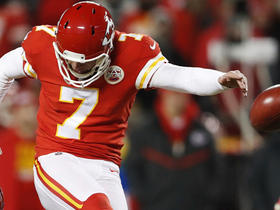 It was the type of effort the Chiefs had expected from Ford at some point in his career. It just took a lot longer than anticipated for that magic to finally show up on a field. When adding Ford's play against San Diego to his contributions in a 34-20 win over Oakland on Dec. 6 -- Ford had a critical fourth-quarter hit on Raiders quarterback Derek Carr that resulted in a 66-yard interception return by inside linebacker Josh Mauga -- you see a player growing up quickly after being considered a potential disappointment. "If I had listened to the noise, I wouldn't have been ready (for this opportunity)," Ford said after Sunday's win. "Through last year and this year, I had to be patient. Whatever your role is, you have to play it out." 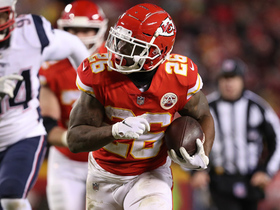 Ford's maturation is typical of what is happening all around a Chiefs squad that is 8-5 and surging toward a wild-card playoff spot. 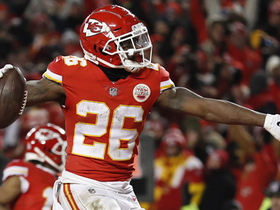 The team lost Pro Bowl running back Jamaal Charles to a season-ending knee injury and suddenly unknown replacements like Spencer Ware and Charcandrick West were making big plays. A defense that had struggled during a five-game losing streak has been improved by the stellar efforts of rookie cornerback Marcus Peters. A passing game that needed more threats has found one in second-year receiver Albert Wilson, who scored the game's only touchdown on Sunday with a 44-yard catch-and-run from Alex Smith. Ford is proving that he should be considered a major part of the Chiefs' youth movement, which is something that couldn't be said before. 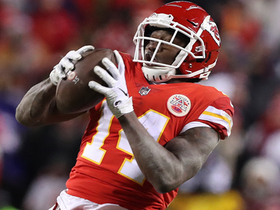 Until recently, he was best known as the player who left fans shaking their heads when Kansas City general manager John Dorsey selected him in the first round of the 2014 draft -- when the Chiefs had more pressing needs to fill, most notably at wide receiver and cornerback. Instead, they took a defensive end from Auburn who many projected as a second-round pick at best, a player who produced 17 tackles and 1.5 sacks in his first 25 NFL games. It really wasn't Ford's fault that he landed with a team that had two Pro Bowl pass rushers (Justin Houston and Tamba Hali). It also didn't help that he had to learn a new position (outside linebacker) that required him to develop his coverage skills. In many ways, the young man was set up to face more scrutiny than he deserved. He got through those tough times by listening to his elders and waiting for his chance. Now that Ford finally has an opportunity to start -- he's been filling in for Houston, who sustained a concussion in a win over Buffalo on Nov. 30 -- Ford hasn't forgotten how he got here. When he darted past Chargers left tackle King Dunlap for a 7-yard sack in the fourth quarter on Sunday, he bowed Samurai-style to honor Houston's favorite post-takedown move. He also couldn't wait to hug Hali after another sack later in the period. As Ford said, "I was giving love to those guys for training me." "Everybody knows he can do it," said Chiefs inside linebacker Derrick Johnson. "It's a positive pressure on him because he's a first-round pick. Everybody expects him to do really good. Just -- when (he) has the opportunities like he had today, he has to seize the moment and get better from there." The game's final play revealed how far Ford has come as an overall defender. The Chargers isolated Ford on Woodhead as the running back ran a wheel route out of the backfield with two seconds left in the contest. A year ago, Ford wouldn't have displayed enough technique to handle that pattern against a smaller, quicker back. This time, he turned and ran fluidly before batting the ball away from Woodhead in the back of the end zone. When asked about that play, head coach Andy Reid intimated that he wouldn't have been as comfortable with Ford in that position if somebody had imagined that scenario before the game. But as Ford said, "That's what (a strongside) linebacker is supposed to do in a 3-4 defense. You can't just be a one-trick pony." Added Chiefs safety Eric Berry: "He just balled. He did a great job. He basically iced the game for us." If Ford is going to be a standout player in this league, he'll have to pressure quarterbacks, dominate ball-carriers and shadow receivers consistently. More importantly, he'll have to maintain the same mindset that has allowed him to play at such a high level lately. Anybody can see that he has the physical skills to someday be a dangerous threat as a permanent starter. But he also has already earned plenty of respect from his team, as he was selected to be a captain before Sunday's contest. The real beauty of Ford's growth is that it gives defensive coordinator Bob Sutton another option in a scheme that relies on constant pressure. Hali and Houston already have been essential elements in a resurgent defense that has keyed Kansas City's turnaround from a 1-5 start. Throw in a more confident Ford and things will really get interesting for this team. Given how he's played the last two weeks, it's hard to find a reason why he shouldn't be playing more once Houston returns. This is what the Chiefs were hoping for when they drafted Ford. At the time of his selection, it seemed that Dorsey was looking far down the road to a day when Hali would have departed the franchise. Then it appeared that Ford was a chip to be used as leverage when negotiating a new deal with Houston this past offseason. Now, it's clear that there's no need to make sense of the rationale that went into Ford's arrival with the franchise. It may be just as simple as this: The Chiefs saw a player they liked and were willing to wait for him to fit in. It was a risky move at the time, one that inspired plenty of scrutiny over Ford's potential. But on Sunday, there were no glaring issues surrounding his role on this team moving forward. In fact, the only obvious question seemed to revolve around what Ford was possibly going to do next.